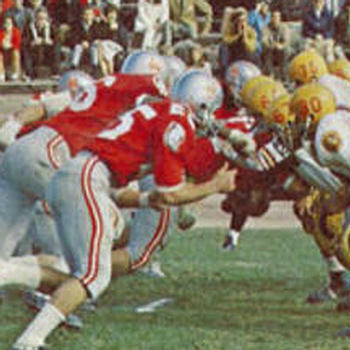 1967 began first with the expectation that JC transfer O.J. Simpson who committed to Giddings program after a recruiting visit would transform the program. Unfortunately Simpson instead chose to follow USC’s advice to spend an additional year in junior college and then come to the Trojans. 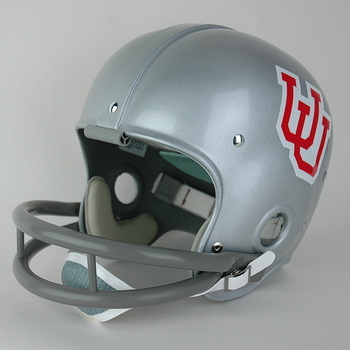 The thought of utilizing twenty-two redshirts and numerous junior college transfers to truly get the program rolling however, remained and Giddings upgraded the red decal on the Utes ’66 helmet with a white outline. He also awarded tomahawk-shaped award stickers for superior plays. 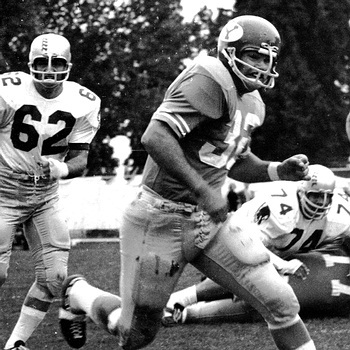 Quarterback Jack Gehrke’s outstanding speed was utilized at tailback when needed and this fine athlete proved his versatility by later playing wide receiver for the Chiefs, Bengals, and Broncos in a four year NFL career. Unfortunately the rushing of Gehrke and Charlie Smith and the receiving abilities of junior college product Louis “Speedy” Thomas still made for inconsistent offense. Smith later played seven years for the Raiders and his final pro season for San Diego. Guard Norm Chow and defensive tackle Manny Fernandez who was also an excellent shot putter and discus thrower stood out on the line. 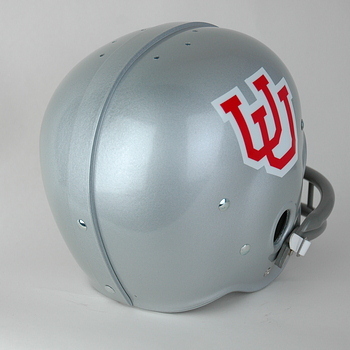 Chow, a member of Utah’s All Century Team, spent his remaining working days as a coach, giving twenty-seven years to the rival BYU program where he was credited with developing a long succession of successful and award winning quarterbacks. He was also head coach at Hawaii. Fernandez of course went on to an excellent if underappreciated eight year career with the Miami Dolphins and he did in fact win the NFL’s Unsung Player Of The Year award in ’73. Some thought that he was kept on the active roster his first season in part because he would garner fans among Miami’s Hispanic population but as he did not speak Spanish, he did it on merit. Defensive end Norm McBride was an All WAC choice. Not seeing the improvement wanted, Giddings resigned on December 9th but continued to be very successful. He gave more time to amplifying his player evaluation system that eventually grew in to his Pro Scout, Inc. private scouting service utilized by numerous NFL teams. 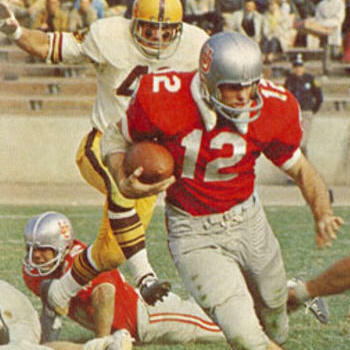 He continued to coach, spending six seasons with the Forty Niners, as head coach of the WFL Hawaii entry and as both coach and Director of Player Personnel of the Denver Broncos. With the Broncos he truly fine-tuned his evaluation system that launched his private business career. He returned to his Southern California home to surf and successfully coach the local high school football team for a salary of $1.00 per year. 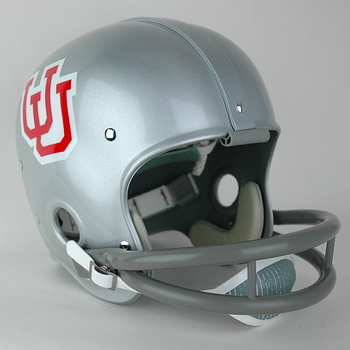 If interested in any of these Utah helmets please click on the photos below.